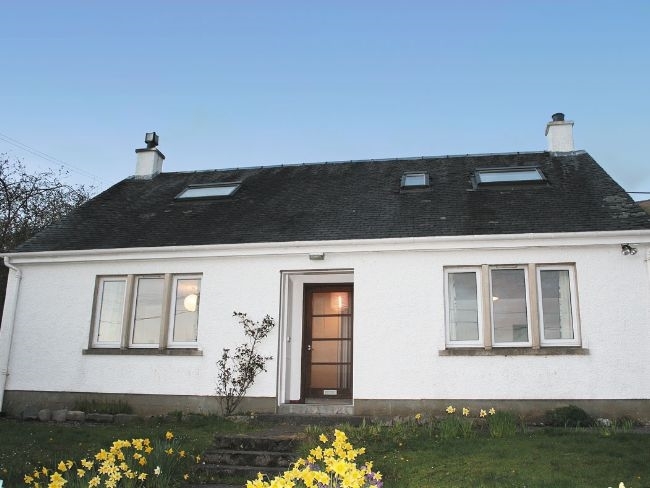 Set in an elevated position close to Colintraive overlooking the beautiful Kyles of Bute, Argyll. The cottage is a short walk from Colintraive, Argyll & Bute, with its award winning pub , hotel, shop (open am only) and harbour, 1 mile. Walkers and hikers are attracted to the area because of the spectacular scenery, beautiful flora and fauna and wildlife . The 'Kyles' are popular for kayaking and yachting and the waters are beautifully filled with white sails billowing in the wind. A ferry from the village crosses to the Isle of Bute. The outstanding wildlife includes red and roe deer, buzzards and golden eagles and the superb outdoor activities incorporate fishing, sailing, walking, golf, cycling and birdwatching. 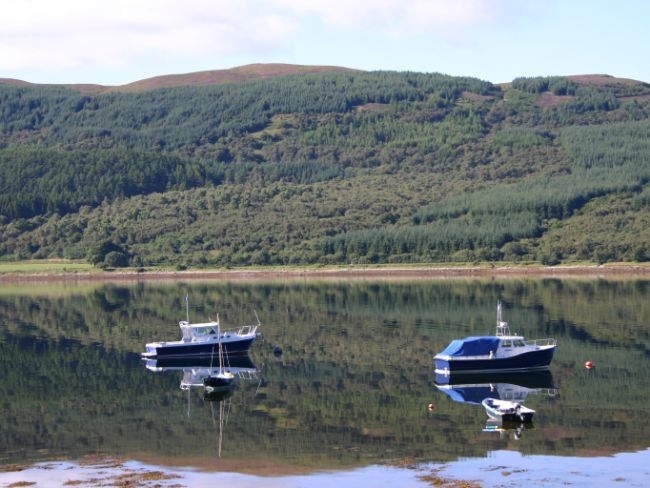 Day trips can include the Isle of Bute, Dunoon, Inveraray and Tarbet a pretty fishing village via the Portavadie Marina and excellent restaurant. Two story accommodation offers flexible accommodation with THREE bedrooms: 2 doubles. Bathroom with bath, sink and WC. Shower room with shower, sink and WC. Lounge: with open fire, TV and DVD player. Dining room: which can be used as a second lounge for children. Kitchen: well-equipped with fridge/freezer, dishwasher, washing machine and microwave. Outside: the private gardens are safely enclosed and guests can enjoy sitting out to watch the sun go down. Amenities: bed linen, towels, cooking via electric, central heating plus multi fuel stove included. Regret no smoking. 2 dogs welcome. Location: short walk to the pub, basis village shop 1 mile. Fuel and stove fuel can be purchased at supermarket in Dunoon 20 miles. Arrival: 4pm.